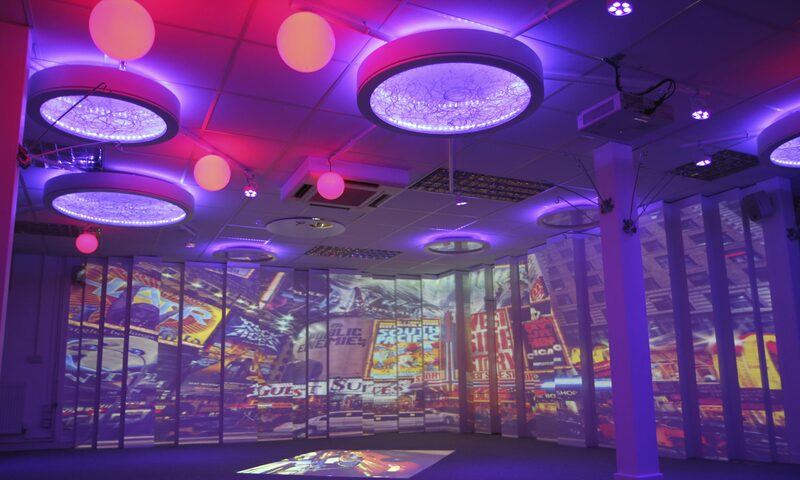 The aim of the joint venture between 4D Immersive and Mersey Care was to evaluate the therapeutic potential of an immersive space in an acute dementia ward and to explore how these immersive experiences could be used for therapeutic intervention. The experiences created through light, sound and projection would involve creating stimuluses to inspire conversation, the sharing of stories and increase interaction. The space would become a place to talk, listen and create a sense of ‘being normal’ and provide a person centred approach to care. Another key area to develop was how care could be personalised and also involve the families of those on the ward. How could an immersive space be used to enhance therapies for everyone on the ward? The calmness and engagement of the immersive experiences was often sustained beyond the session finishing. The ward would often be stressed and fractured before the immersive experiences but retained a new found contentment afterwards. Families of those on the ward also shared special moments with their loved ones; moments they may not have have experienced for a long time. The immersive space created the atmosphere in which these moments could take place. Family members could also suggest certain photos, videos and sounds that would have a positive impact – this way they became part of the person centred care process.